There are currently 115,317 users on this website. 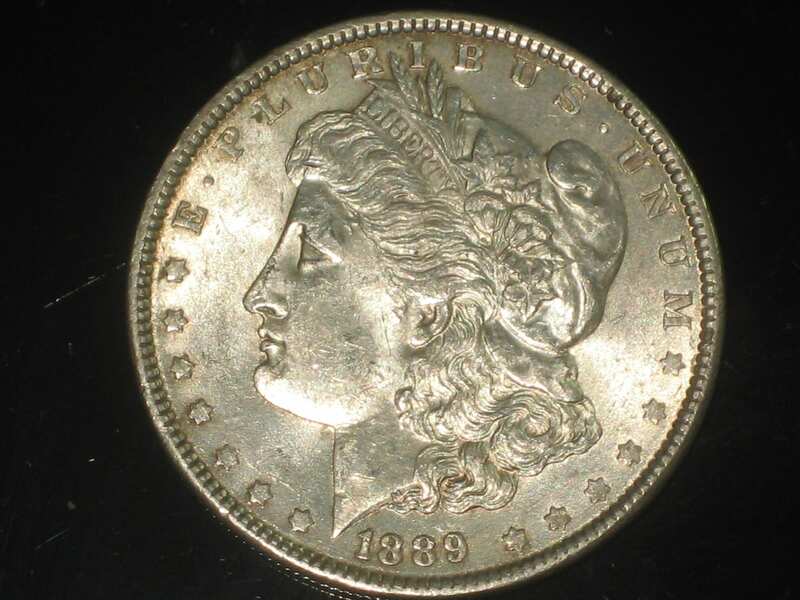 I am new to this blog and am new to the coin collecting world, but I have just inherited a little over three thousand Morgan silver dollars from my Grandfather, All but a couple are graded and he left a note to grade this particular coin in its personal box, I was just wondering how do I grade and what is an VAM23A 1889? I am uploading photos. There are three grading companies most recommend:PCGS-NGC and ANACS. 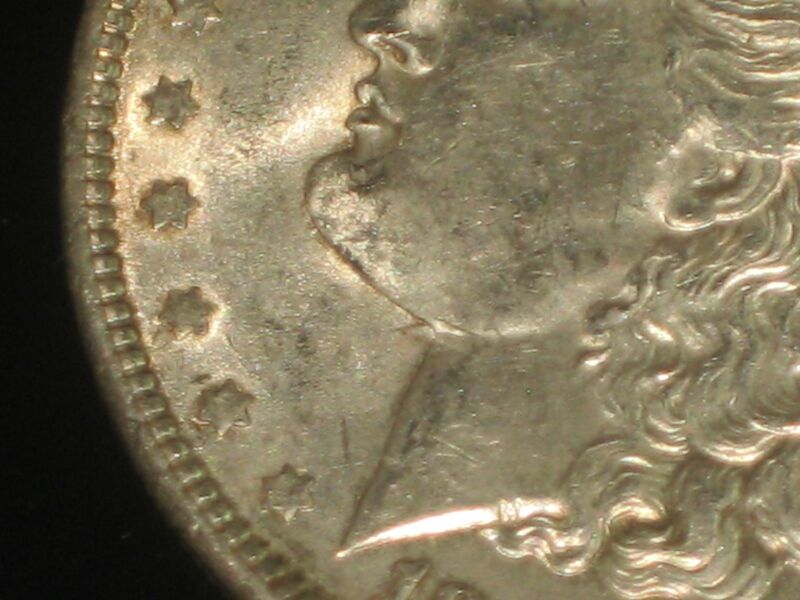 Thank you for the information and the welcome, do youu think that this coin is worth the time to have graded? As a general rule,the retail value after slabbing needs to be at least $200 to justify all slabbing costs involved. I honestly do not know how much the coin is worth, it would be interesting to find out about it. All I know is that the Case it came in said it was a Possible VAM 23A, Which I do not know what that means, but it also said to send it off. I also have several Gold coins that are from North Carolina that he wanted to send off. How does this PCGS thing work anyhow? Thank you for your kind replies and information. Check out PCGS.com. Before you send any in,post here on CCF to see if it will be worth the effort. Could save you a lot of money. Check eBay sold values to see if there has been one sold like yours to get an idea of value. Unfortunately your coin is not a VAM 23A. 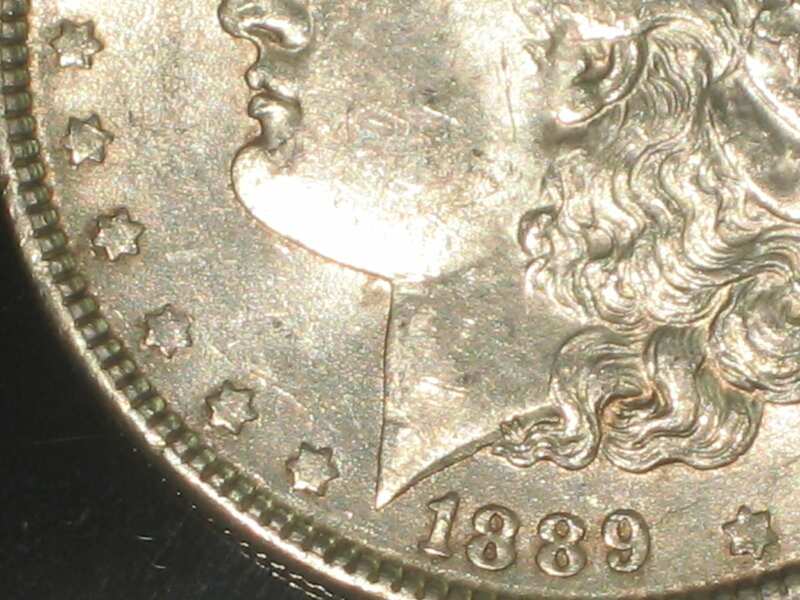 In the 1889-P series there are only three varieties with obverse wing clashes off the jaw ... Vams 7B, 47 and 60. All the rest come off the neck. It appears from the clash location that yours is the 7B. Thank you for your information, I was wondering if it is worth sending off, I guess I willo just put it up with the rest of the coins in my safe. Thank all of you at this forum for your help, You guys are awesome.